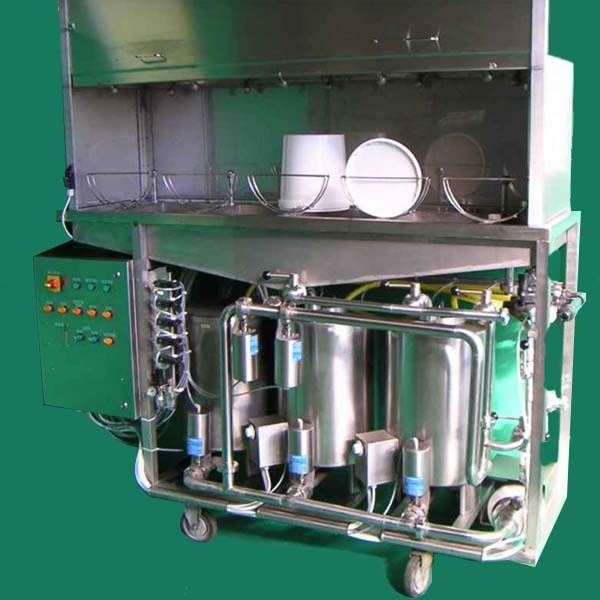 Industrial washer designed for the dairy industry. 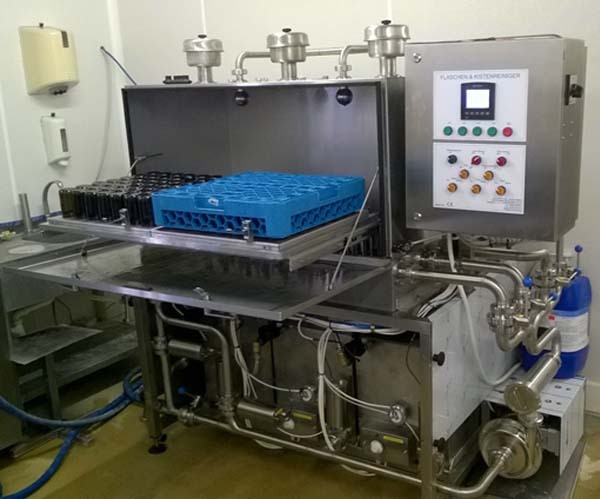 This bottle washing machine cleans crates with bottles or glasses as accurate as gently. Cleaning of containers of different shapes and sizes to suit individual requirements. 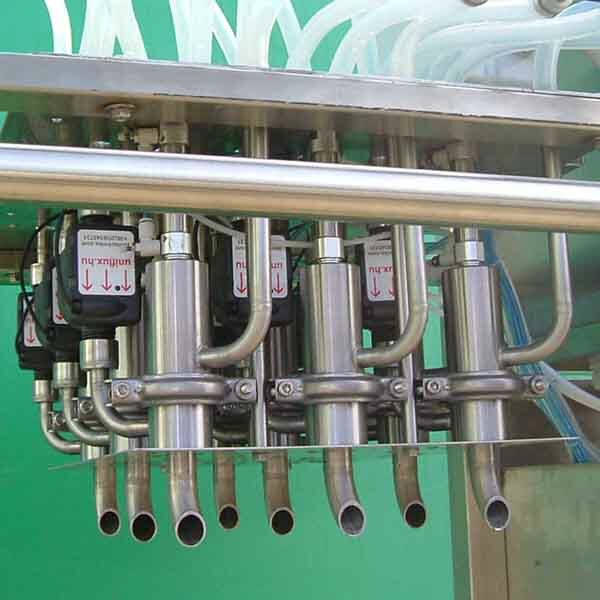 The cleaning nozzles dive automatically into the individual bottles and cause huge turbulence. 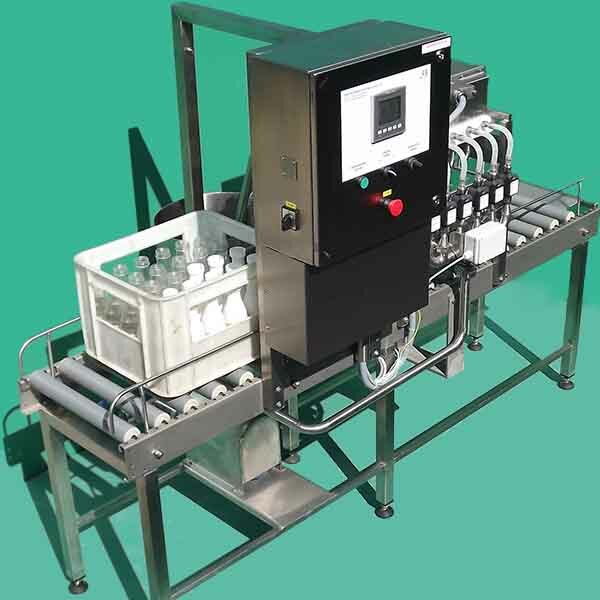 All our washing machines ( bottle washers,crate washers,bin washers,lug washers) are tailor made to suit our clients requirements. 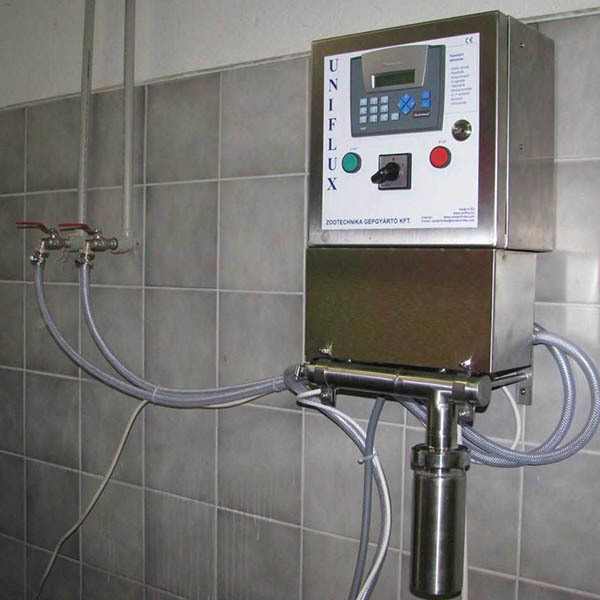 Hygia-Active tank cleaning system with cold and warm water connections and drain valve and PLC-control provides an automatic cleaning process of milk containers, also chemical dispensing.